Final Fantasy V was ok. I finished it, but I wasn't inspired enough to write about it while I was in the middle of playing. That should probably tell you something about how I feel about the game. It was fine. It wasn't bad. There is no single thing I can point to and say "I hated this." But, overall, it simply didn't click with me. The story is perfectly serviceable. It had semi-interesting characters, multiple worlds, Cid, Moogles, Chocobos, an airship, and an evil villain. 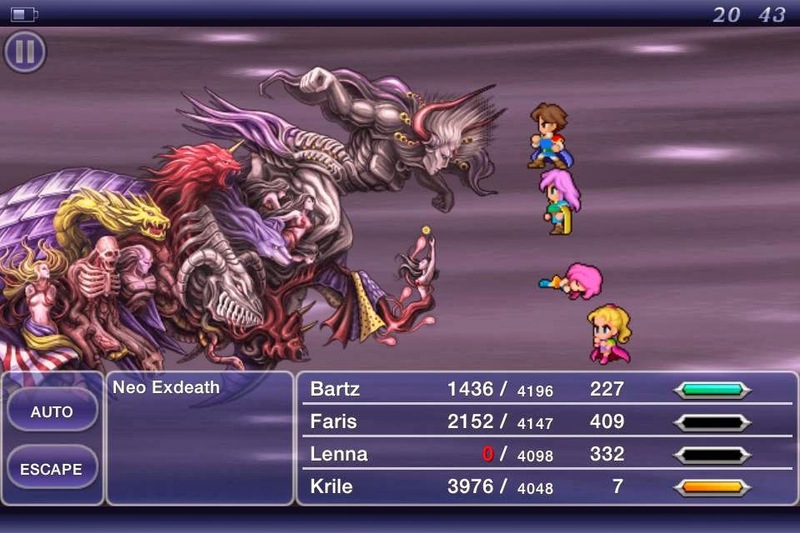 Exdeath, the big bad of this game, even had a more complicated plot than "destroy the world by destroying crystals." Not much more complicated, but at least it's a step up from FFI, FFII, and FFIII. The story was definitely better than those games. My biggest problem with it is that it just isn't as good as FFIV. It feels like a step back in terms of storytelling quality. 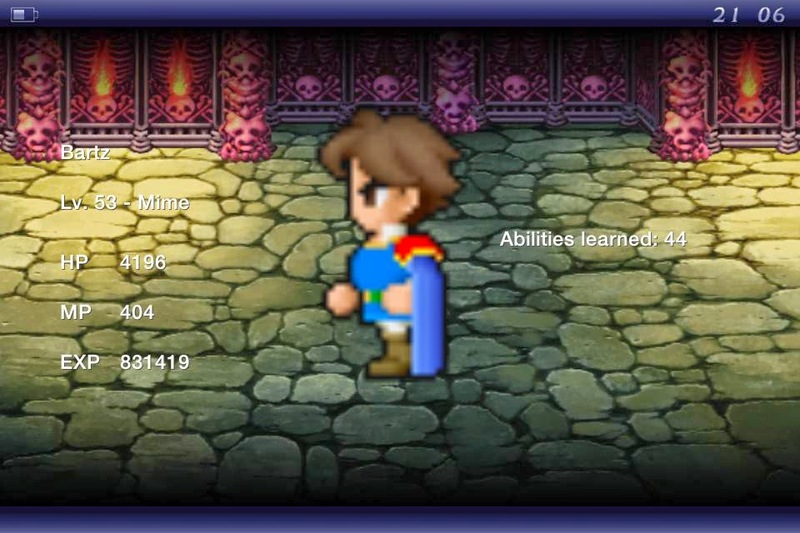 Maybe that's my overall problem with FFV. It's not as good as FFIV. FFIV did so many things in new and interesting ways and it executed a fantastic character driven story. 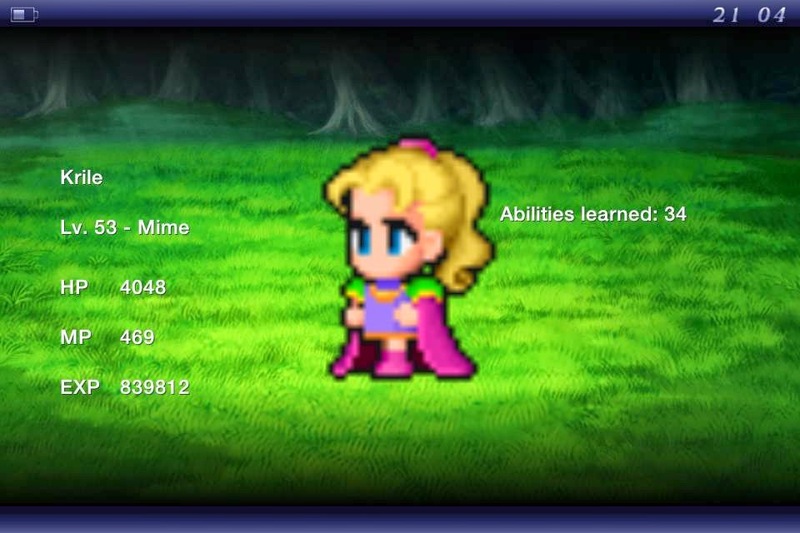 FFV is, no question, better than I-III but it doesn't reach the level of FFIV. It doesn't help that I had played Bravely Default immediately before starting FFV. After playing both games it's obviously that the job system from FFV was a direct predecessor to the job system in Bravely Default. The problem is that Bravely Default improved on the job system by leaps and bounds. It made it much more interesting and engaging. 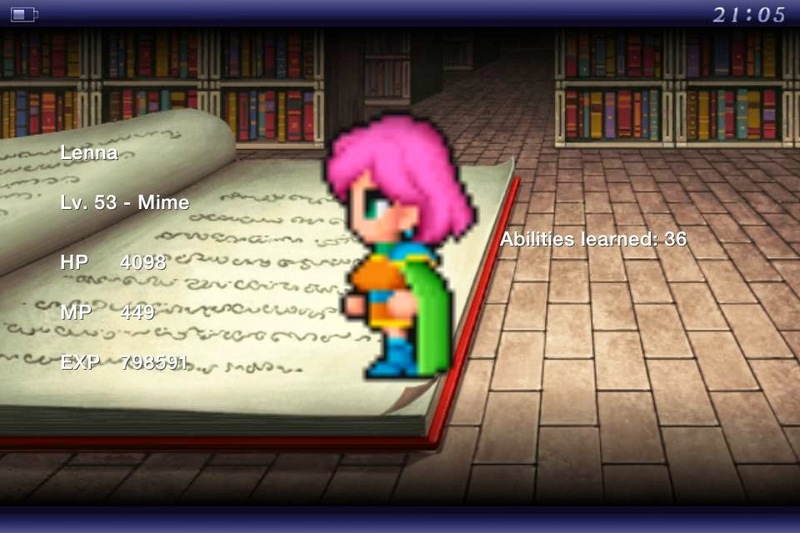 So, for me, the job system in FFV felt dumbed down and shallow. I'm sure it was revolutionary for it's time, but it doesn't hold up today. The battle system is nothing to write home about. 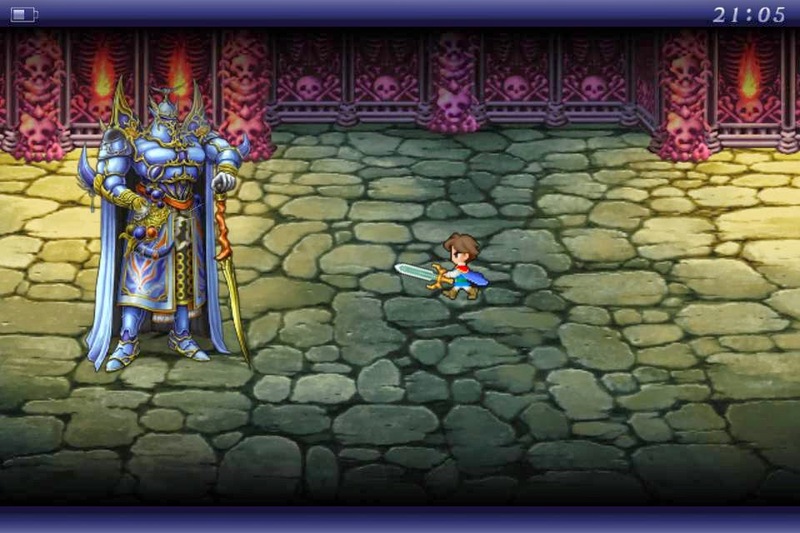 It's a classic Active Time Battle (ATB) system like many Final Fantasy games. I think I'm learning that I like turn based systems better. But that comes down to personal preference. The best part of the battle system are all the abilities different jobs gain access to, but most of the interesting decisions and customization is actually done outside of battle through the job system. I'm not a huge fan of the graphics in this game. I played the iOS version, just like I did for the first four games. That might have been a mistake. I really didn't like what they did with the remastered graphics. I think I would have preferred the original pixel art instead. I've heard really good things about the GBA version, so if you're looking to try this game out you may want to look there. It fits with my common theme here today, the graphics weren't bad, they just weren't as good as the other remakes I've been playing lately. Although, graphics come down entirely to personal preference. As far as the iOS version in general, it was still fantastic to always have the game with me wherever I went. I'm not sure what I think about them adding achievements to the game. It's something they also did for FFIV too. I guess it's fine, I just don't know how much it adds to a JRPG like this. On the plus side, they added a battery indicator and a clock docked to the top of the screen (check out my screenshots). I actually really liked this addition. When I was playing FFIV I was constantly hitting the home button to check the time and with FFV I didn't have to. What else can I say about FFV? I'm glad I completed it. I'm happy that I haven't broken down and skipped a game in the series yet. My review makes this game sound a lot worse than it is. I would still recommend it over FFIII without hesitation. It's not a bad game. I think a lot of people would like it. It's just not a game that I truly enjoyed. I liked it as the precursor to the FFT job system (and Bravely Default, which I haven't played yet, slacker me). ...but yes, it's more notable for how it leads into better games than for being a great game in itself. I really need to get around to playing the original FFT sometime. I'm sure I would like. I've played FFTA and FFTA2 and loved those games. I just missed the original when it came out and have never gotten around to checking it out. Some day. I think they even have a remastered version now. 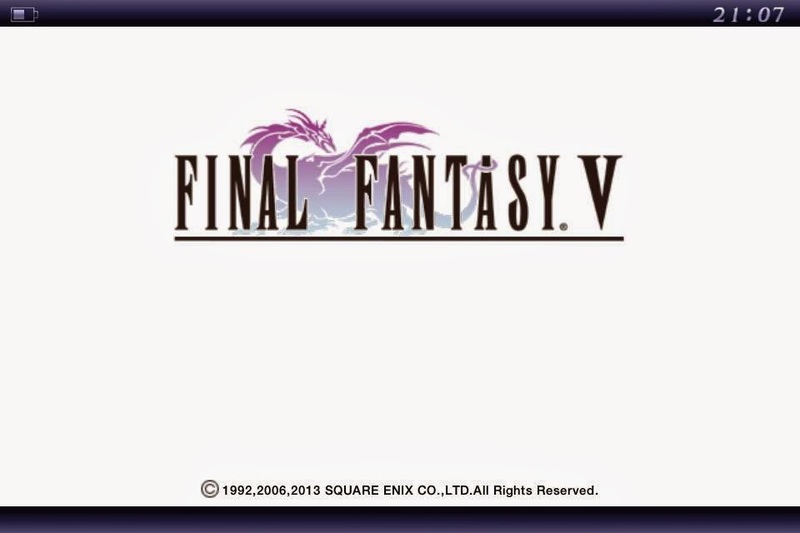 FFV is one of my favorites just because it is a clean, well-executed model of what a good Final Fantasy game should be. Others add their own distinct spins, often which catapult their respective games over FFV in quality, but still my love remains. FFV is the vanilla of the series. You won't be excited to have it, but it's a great starter when you want to dress it up with sprinkles, syrup, and nuts! I can see this point of view. It does feel very vanilla. It's not bad, it just doesn't have the flourishes that a lot of the other games have. 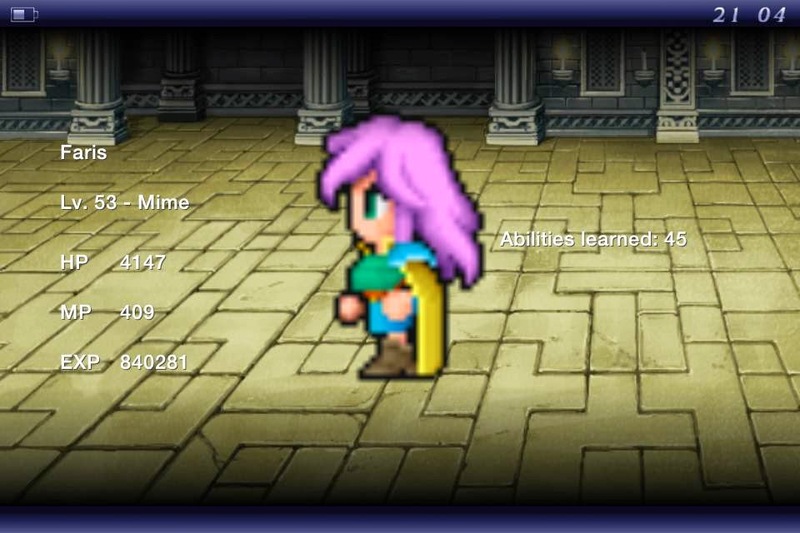 It's still subscribing to the classic FF formula and it's structured very similarly to FFI-FFIII.